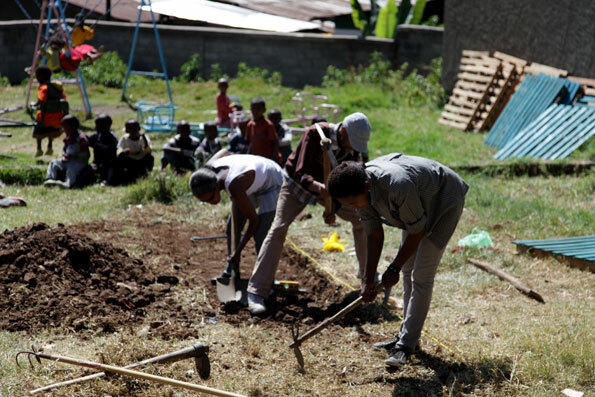 In 2012, a much-needed playground was built outside the Kibebe Tsehai orphanage in Ethiopia as part of a collaboration between Spanish design group Basurama, the University of Addis Ababa, Spanish aid workers, and students from the Cervantes Institute. 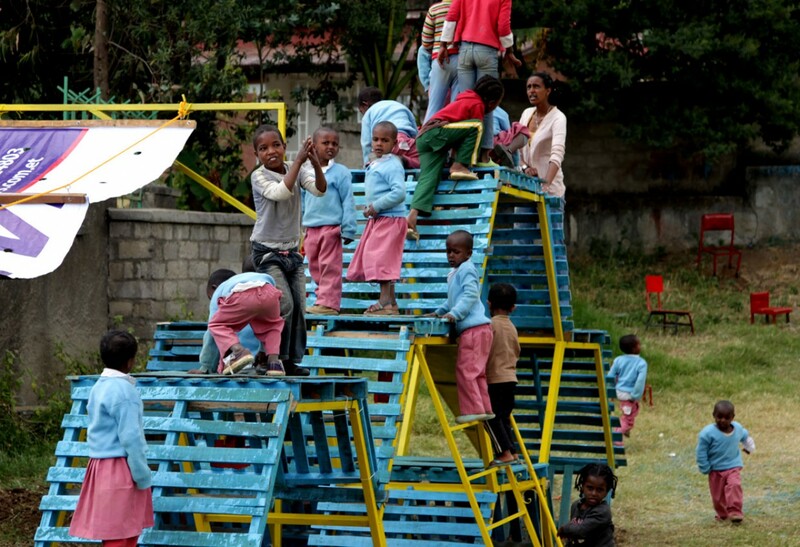 Over a span of ten days, the team designed and, with the help of 30 volunteers, constructed a play structure using abandoned objects found in and around the recess yard along with some donated materials like wooden pallets and canvas. 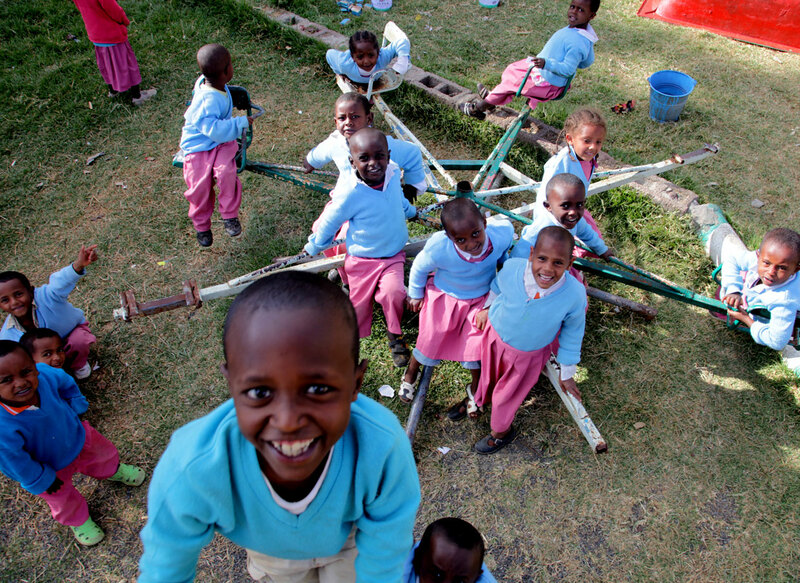 Tubing from an old swing set provided a durable frame from which the rest of the structure emerged. Once the construction was complete and its various hideouts, footways, and ladders in place, the team brought each element together with a fresh coat of yellow and blue paint. Mindful that wooden pallets would deteriorate over time, the team prepared additional pallets that could replace the originals if necessary. 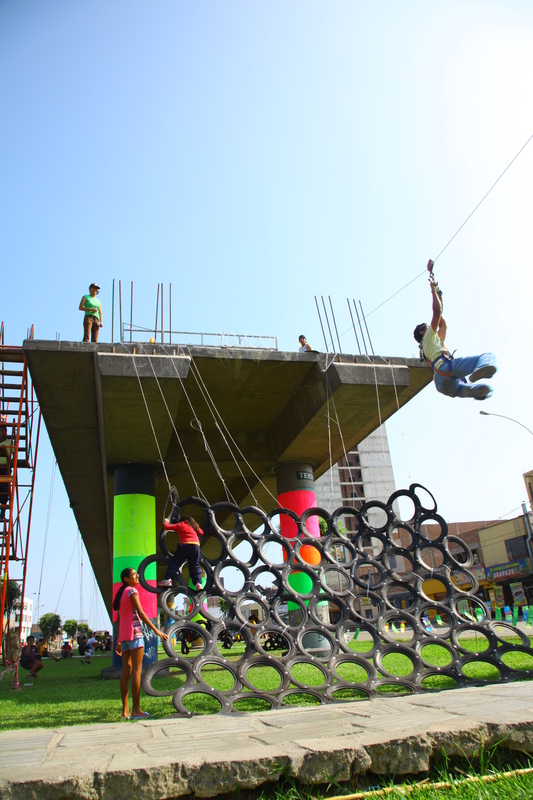 This single LQC effort paved the way for numerous other projects: Similar playgrounds were built in Maputo, Mozambique in 2013, and in Malabo, Equatorial Guinea in 2014. 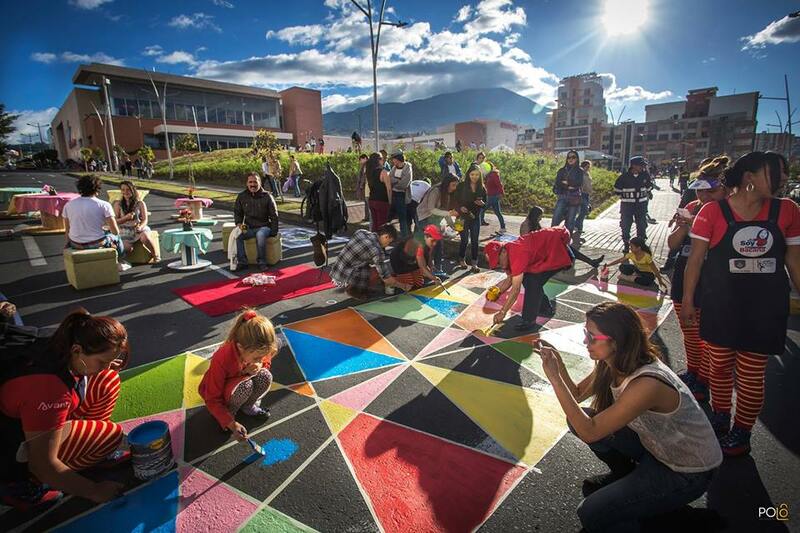 This site-specific and locally-sourced approach to Placemaking made it possible for an otherwise resource-poor community to create a shared public space that responded to the immediate need of its young inhabitants. 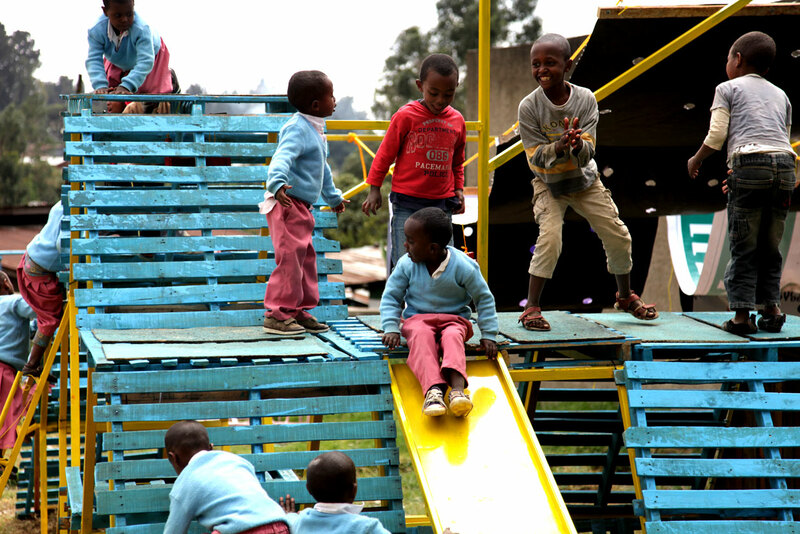 The playground was extremely light as it consisted of mostly recycled and locally-sourced materials. 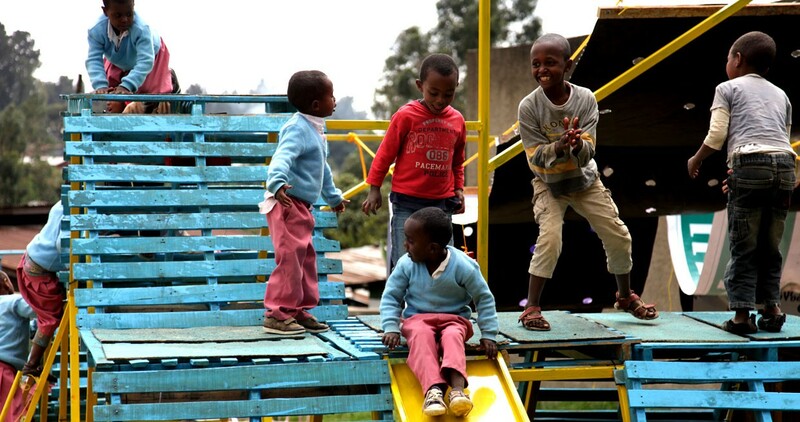 The team designed and built the playground in ten days.